I worked with an Italian wine company to realign their signature brand. I collaborated with agency Grow Creative on this account for Riunite, Italy’s largest wine export. Riunite is known for its inexpensive Lambrusco wines and memorable ‘70s jingle. The brief requested a fresh, youthful approach in an effort to introduce “your grandparents’ wine” to a new generation. The client sought to reboot the brand without sacrificing the sense of humor that defines Riunite campaigns. The new print and web campaign needed to match the wine’s own profile: unpretentious, lighthearted, versatile. The copy for the new campaign aimed to appeal to younger wine drinkers, who were unfamiliar with the product. 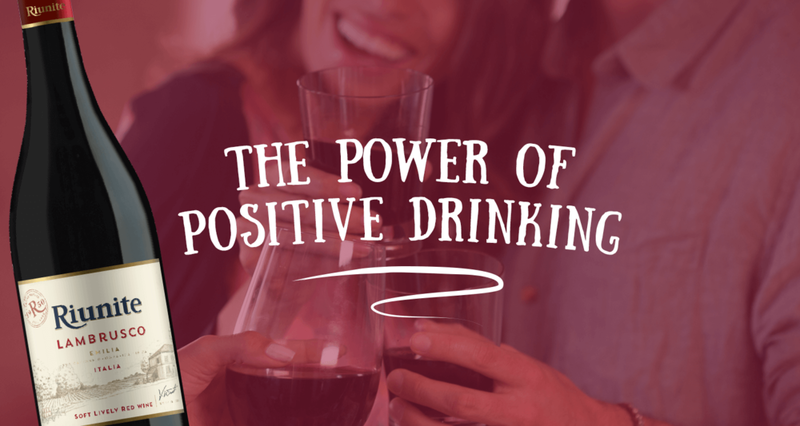 The Power of Positive Drinking! My concept riffed on positive thinking: taking cliché affirmations and rebooting them with Riunite. Millennials are steeped in aspirational culture. On social media, at Crossfit, at work or on your favorite self-care podcast—mantras for better living are embedded in every aspect of modern American life. This campaign took well-known sayings and re-spun them in a cheeky way. Paired with images of people having fun and enjoying Riunite in everyday settings, the tweaked text sent a deeper message: something old can be new again. · When life hands you lemons, make sangria. · If your glass is half empty, fill it up! · See the world through rosé-colored glasses. · Dance like everyone's watching. · Never put off for tomorrow what you can drink today. Note: The company ultimately opted for a different campaign, but retained me to edit copy for their new site rollout.